The MacHeist is giving away software with the Christmas Giving Tree. So far they have unlocked Synergy, an iTunes desktop controller, and Enigmo 2, the newest Mac version of an excellent little puzzle game. 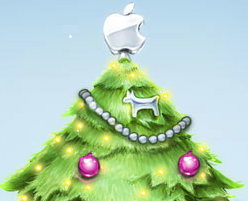 There are more presents to unwrap on Christmas so make sure to go over and check it out.